If you are looking to make changes in your life, Counselling could make a real, positive difference to how you feel. 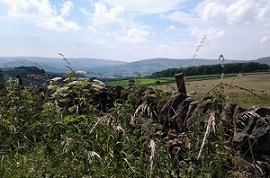 We are a group of Counsellors working in the High Peak and Derbyshire Dales, offering a unique service based on our many years of experience in the NHS and private practice. We have training and experience in many aspects of anxiety and depression as they affect people at different times in their lives, and we are skilled in working with individuals, couples, families and young people. We will offer you a service, based around your needs, with flexibility in the number and frequency of meetings. We also offer the advantages of short waiting-times, moderate charges, convenient locations, and a choice of Counsellor. We work in several locations in the High Peak and Derbyshire Dales. We have appointments in doctors' surgeries and community centres, as well as in private premises in New Mills, Matlock, Bakewell and Hope Valley. In addition, clients come to us from many other places including Belper, Buxton, Chapel-en-le-Frith, Chinley, Cromford, Darley Dale, Disley, Hayfield, Marple, Whaley Bridge, Wirksworth and Youlgrave.